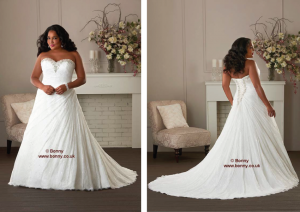 Choose your salesperson Plus-size women the world over have horror stories about going into a bridal shop to look at wedding dresses and suffering the humiliation of a salesperson asking the bride if she plans to lose weight before the wedding. Make no mistake: salespeople who take the Panglossian view – that you should reshape yourself to fit the dress rather than vice-versa – has no place in the bridal wear industry. Think of your wedding dress purchase as you would the purchase of a new car: it’s a major investment, and you need and deserve a competent and agreeable salesperson who understands your needs and will guide you toward the dress that it is a perfect fit for you. Is your website Optimised or are you just being Optimistic?